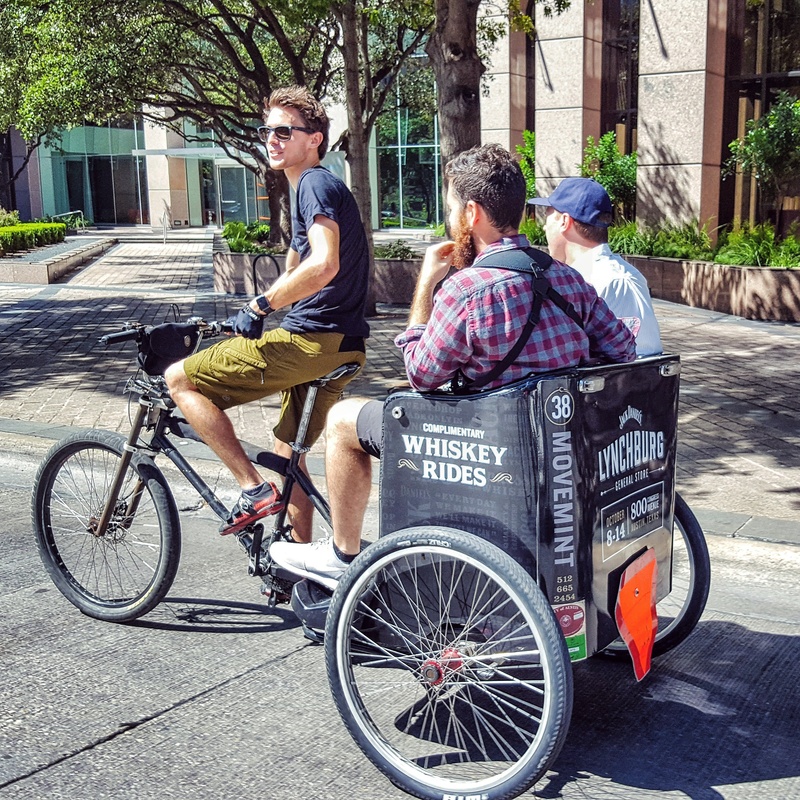 Each day during the pop-up, Jack Daniel’s had three fully-wrapped pedicabs, with Jack Daniel’s-branded operators, providing free rides to patrons during five to six hours shifts. The General Store was at 800 North Congress. The original plan was to have all 3 pedicabs stationed 1.4 miles away, at the Austin Motel at 1220 South Congress, but it was decided to improve upon that plan and station one pedicab near the Texas State Capitol. 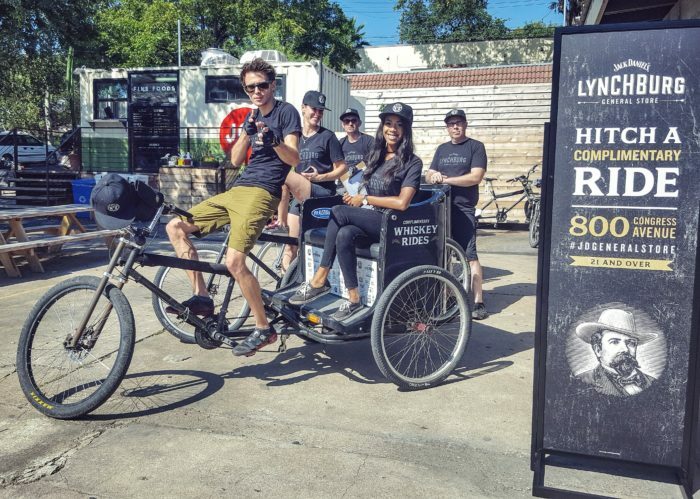 A brand ambassador unaffiliated with Movemint worked alongside the pedicab drivers to “approve” all passengers from the Austin Motel staging area to the General Store. Free rides were only provided from the Austin Motel to the General Store, and the pedicab operators couldn’t provide any rides -free or otherwise- to anyone else; it was an empty trip back to the staging area. and fully wrapped 3 pedicabs. Really, this was an ideal arrangement. It was fun to work.